The "Enrique José Varona" Library, Marianao (I). Author: Arq: Cheo Malanga. Photos: Remigia Tuero. 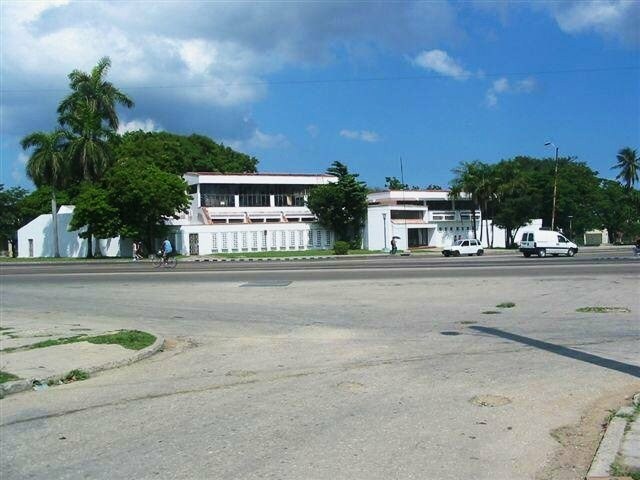 Today we will visit the Enrique Jose Varona Library, located at Avenida 41 between Ave. 43 and 51. Marianao. The E.J.V. 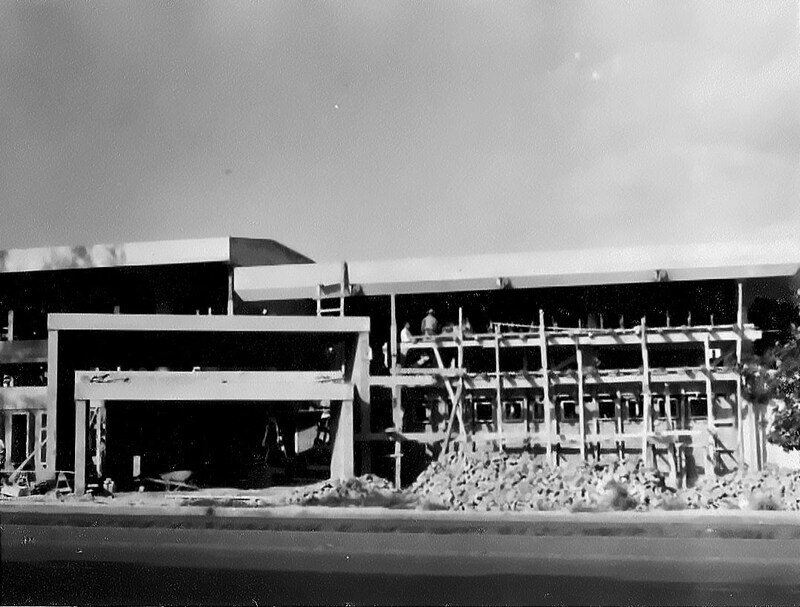 Library's construction began in 1963 by the Department of Urbanism and Municipal Works of Marianao's Coordination, Implementation and Inspection Board (JUCEI). Its designers were the at that time students of architecture Arnaldo Sicilia and Reinaldo Togores Fernandez. The building construction took 16 months and was in charge of the also architecture student Salvador Gomila Gonzalez. 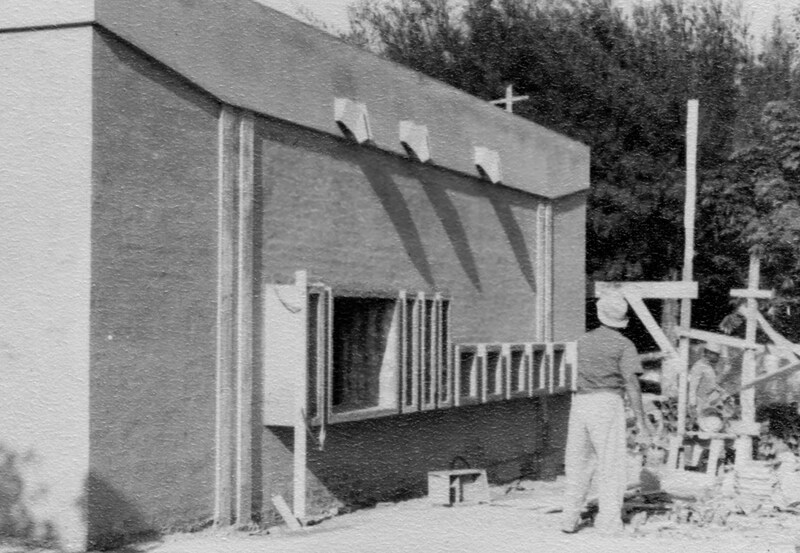 The Library under construction (1963). The building has an articulated and interesting volumetry, as well as a suggestive wealth in the design of functional elements such as gargoyles, lattices, solar protection elements, partition walls, decorative paraments, etc. The construction system employed was the traditional one, although some prefabricated elements such as gargoyles, lattices and projecting windows casings were developed. The concrete latticework now on the ground floor window casings was not part of the original project being added later on. This photo from my personal archive shows the wall's original design. I recall with special fondness that room, next to the corner, the nature of which has been destroyed by the huge window shown in the photos above. The younger children were to meet here with storytellers that would delighted them with wondrous fables and tales in a space surrounded by windows tiny as the scale of those children, in a semidarkness lit from two pyramidal skylights on the roof. I don't know if they still exist, I am afraid they may have suffered the same fate as the little windows, by decision of the bureaucrat in charge. Unfortunately in our country these decisions are not usually consulted with the authors. I imagine the reasons for the closure using these awful lattices in today's Cuba. With the prevailing disrespect for the property of others, they are certainly a way to put it more difficult for thieves. Although I don't think books are overly attractive for them. Biblioteca Enrique J. Varona (III). Entrevista con el Arquitecto Reinaldo Togores. 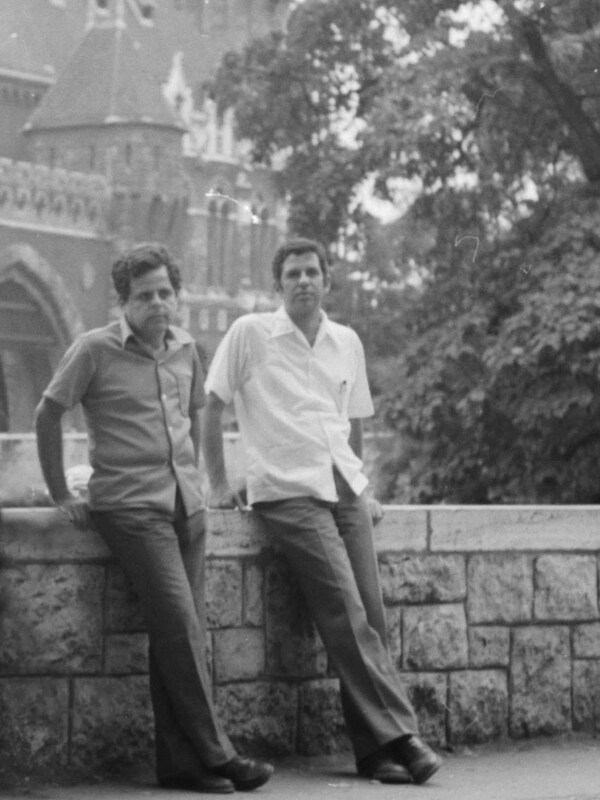 Arnaldo Sicilia (left) and Reinaldo Togores. Budapest, 1979.